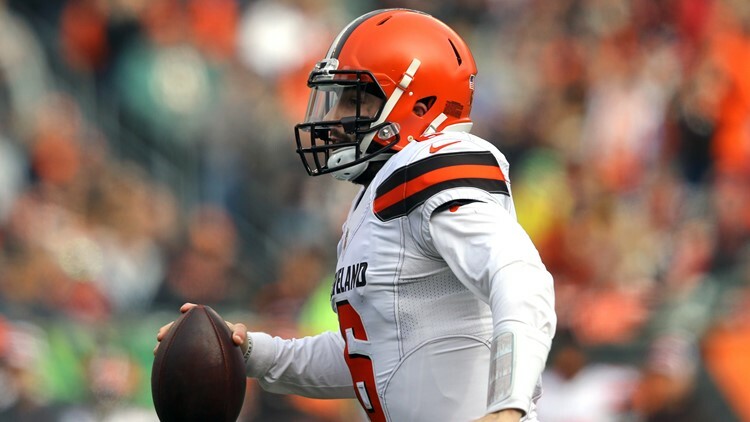 Cleveland Browns rookie quarterback Baker Mayfield is "very eager" to get back to game action after rebounding from a three-interception first half with a strong finish against the Houston Texans. 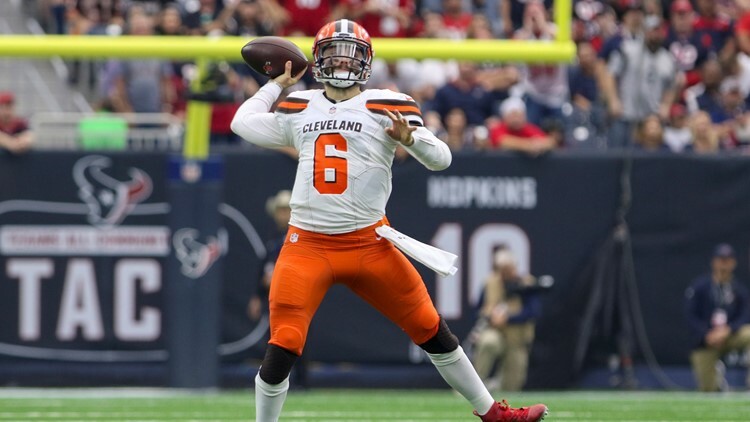 CLEVELAND -- Cleveland Browns rookie quarterback Baker Mayfield is very much looking forward to getting back on the field with his teammates after struggling through the first half of last Sunday’s 29-13 loss to the Houston Texans at NRG Stadium in Houston. Mayfield threw three interceptions in the first half, and all of those turnovers led to Texans scores, including a pick-six that was returned for a touchdown by linebacker Zach Cunningham. “Very eager,” Mayfield said when asked following Wednesday’s practice about his mindset heading into Week 14. In the second quarter, Houston’s defensive players joined in on the scoring after forcing an interception. The Browns faced a first-and-10 from their own 28-yard line when Cunningham stepped up from his weakside linebacker spot, read a pass from Mayfield to wide receiver Antonio Callaway, jumped the route, corralled the interception and returned the ball 37 yards for a touchdown. Originally, Cunningham was ruled out of bounds close to the goal line, but a replay review overturned the call on the field and resulted in a touchdown. The extra point gave the Texans a 17-0 lead over the Browns with 7:26 to play in the second quarter. Then, the Texans turned interceptions on the next two drives into field goals later in the first half. “They were just athletic,” Mayfield said. “Playing a team like that when they have athletic guys, they can drop into coverage with certain packages. 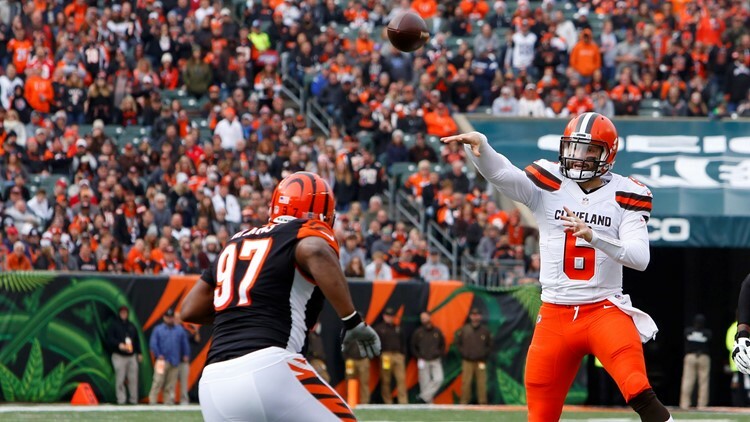 During the first half, Mayfield completed just five of his 13 attempts for 46 yards with the three interceptions, but he rallied at halftime and had a strong finish to the game. Mayfield finished the game 29 of 43 for 397 yards and one touchdown, a 17-yard scoring pass to wide receiver Rashard “Hollywood” Higgins late in the fourth quarter. In the second half, Mayfield completed 24 of his 30 throws for 351 yards and the one touchdown without a turnover. “We were not that far off,” Mayfield said.